Daily Illuminator: SJ Games Kicking Off 2017 With PAX South! 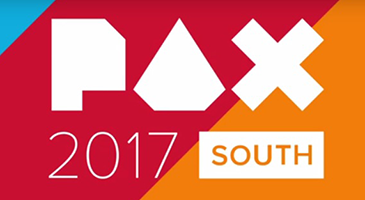 January 1, 2017: SJ Games Kicking Off 2017 With PAX South! We're starting off 2017 with a bang! We will be at PAX South January 27-29, at the newly renovated Henry B. Gonzales Convention Center in San Antonio, TX. Stop by our booth to say "Hi" to Andreas, Ariel, Guy, Hunter, Jimmy, Veronica, and me, check out our latest games, and get the scoop on new games releasing soon. Munchkin fans will be able to get a look at Munchkin Pathfinder Guest Artist Edition and Munchkin Pathfinder: Truly Gobnoxious! Ogre Sixth Edition, our classic game of armored combat, will rumble into PAX, crushing everything in its path. Learn to play at the show and you'll be ready for Ogre Organized Play, coming in February! If you're feeling villainous, then Batman: The Animated Series Dice Game is for you! Play Gotham City's greatest supervillains and get lots of loot, but watch out for the Caped Crusader! We'll also be offering a sneak peek at Ghosts Love Candy during the con. The players are ghosts trying to haunt kids and take their candy. Watch out, though – if you scare them, they'll run away and you'll lose points! We will be playing demos on our most excellent giant-sized copy of Bill & Ted's Excellent Boardgame! Fans of Simon's Cat can come by and check out Simon's Cat Card Game, the purrfect game of avoiding the mess. We will also be playing I Hate Zombies at our booth, so you can try to save humanity – or be a zombie and eat BRAAAAAIIIINNNSSS! In addition, our MIB Demo Team will be helping us out by running even more demos in the gaming area. Learn how to #PlayMunchkin, Ogre: Objective 218, or any of our other awesome games! The awesome PAX crew will also be running some cool events, like their Munchcathlon (their huge, multi-round Munchkin tournament, with awesome prizes). PAX will be running more tournaments for Ogre and other games. We'll be posting other news and events as we get closer to the convention. Keep an eye out for some of the sweet loot that will be up for grabs! It's going to be an excellent event; drop by and play some awesome games, and pick up copies of your favorites to take home. See you there!